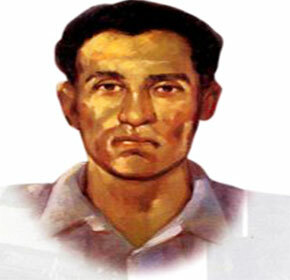 Mohammad Ruhul Amin was a freedom fighter of Bangladesh. 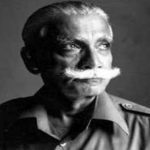 He was awarded highest recognition ‘Bir Sreshtho’ the liberation war of Bangladesh in 1971. 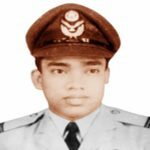 Ruhul Amin was an engine room artificer in the Bangladesh Navy. He fought in sector 2 and 10 during the liberation war. 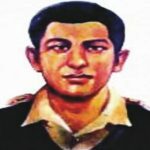 Amin is considered one of the brave persons who participated in the war across the country. Mohammad Ruhul Amin was born in 1935 at Bagpanchra, Sonaimuri, Noakhali to father Mohammad Azhar Patwari and mother was Zulekha Khatun. He completed his schooling from a local school. In 1949, Amin completed matriculation from Sunaimuri High School. Soon afterward, Ruhul Amin joined Pakistan Navy and moved to Karachi for training. After joining Pakistan Navy, Ruhul Amin went to Pakistan Naval Base at the Munroe Island, the Arabian Sea near Karachi for primary training. In 1958, he finished his professional training. Later he elected for the mechanical course in 1965. In 1968, he transferred to PNS Bakhtiar naval base in Chittagong. In 1971, Mohammad Ruhul Amin fled from the naval base. 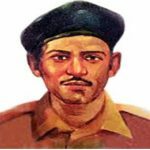 Reaching home, he started giving training of the liberation war to the youth and paramilitary people. 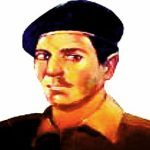 Amin joined the liberation war in sector 2 under K M Shafiullah. On December 10, Pakistan air force started fired toward Padma and Palash warship. 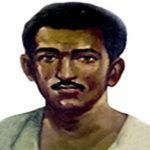 Ruhul Amin was working as an artificer at the Palash warship. Suddenly the engine room of Palash warship caught fire for the heavy bombing. By the bullet, his right hand completely blown and swam ashore and was killed by Razakars. BNS Shaheed Ruhul Amin Navy warship is named his honor. A road in the Saidpur Cantonment Bir Shrestha Ruhul Amin Sarani named after him. 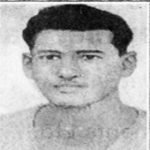 Bir Shrestha Shahid Ruhul Amin Stadium named after the hero in Chittagong.